Our name itself stands for three levels of elevation: elevate yourself, others and the future. Having said that, a big part of our annual planning has centered around the concept of elevating others and serving our community.  Elevating our Community is an annual initiative Trelevate created to help those in need throughout the neighborhoods in which we work. There have been two main initiatives involved in our Elevating our Community program, a turkey drive and a coat drive. Being an on-demand sales organization, we created a program where sales turned into donations – for every three sales, we purchase a turkey or coat for a family in need. Over the past few years we have helped feed more than 380 families and clothed more than 325 children. As our salesforce grew, so did our ability to serve more and more families. In the past few years, we’ve found that our team has truly embraced giving back. There is a certain sense of pride knowing your work translates directly to helping families in need. Each of our teams are empowered to select which organizations benefit from their efforts, and they are even able to give directly to individual families they know may need a little extra help this holiday season. Teams from Arizona, Texas, Illinois, Michigan, Ohio and Pennsylvania selected food banks, homeless shelters, children’s organizations and community centers to benefit from this year’s drive. We set a big goal – to help 250 families across the country – and our client, Constellation Energy, graciously pledged to match all donations. Taking it to the next level, our Chicago outsourced sales team brought our turkey drive to the attention of a large national grocery store who jumped onboard to help provide all the fixings for a Thanksgiving dinner. I am very proud to say that combined, we smashed our goal and were able to give back to more than 550 families across the country. I’m humbled by the selfless dedication our teams have demonstrated, many of whom have made their own donations or given up incentives they’ve rightfully earned to those who are less fortunate. We started Trelevate with an idea that an outstanding culture could create an outstanding company, and the success of this year’s Elevating our Community campaign truly embodies what we stand for. I would like to extend heartfelt congratulations to each one of our sales leaders and consultants, as well as our internal teams who helped make this happen. We are proud to work alongside you and to help elevate others in need.